Jaguar: Track of Jaguar (Panthera onca) along the beach. Taken by Juan Carlos Cruz Díaz. River Otter: Track of Neotropical River Otter (Lontra longicaudis) in River bank. When walking through the rain forest of Osa while appreciating its beauty, one rejoices to see a host of species that live there. 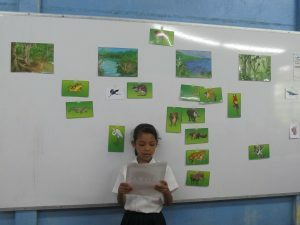 It is common to see various birds singing and flying around, ants building highways in the forest, butterflies of different colors and shapes, and even reptiles and amphibians on the move. However, a limited number of mammals can be observed with the naked eye, except for those that are not too shy such as agoutis, squirrels and monkeys swinging in the treetops. 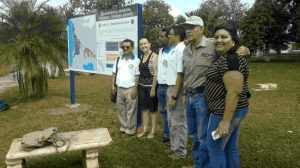 If you are lucky and keep quiet while walking through the forest you can see groups of peccaries, anteaters, armadillos and deer. However, there are some other animals which are very difficult to see because of their elusive nature and such as skunks, tayras, otters and of course wildcats. 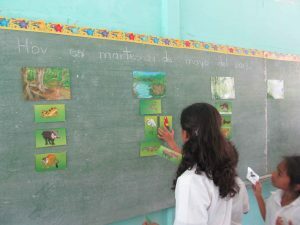 Despite their unobtrusiveness , mammals are an extremely important and vital element for the functioning of the forest; therefore, their ecological research is essential for any conservation project. But the fact that we do not spot these animals does not mean, of course, that they are not there, it just means that we cannot see them. 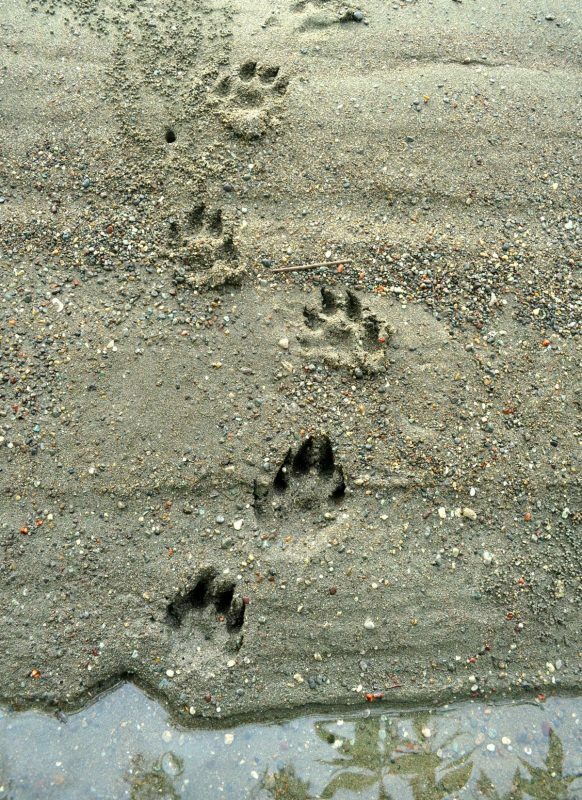 Fortunately, when these animals use the forest, they walk through different substrates, including sand, mud and loose soil allowing their footprints to remain marked on the floor, sometimes for several days after they have been there. 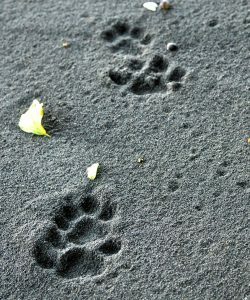 For several years, researchers have used the tracks of mammals as a source of information about the ecology and behavior of these species because a properly identified footprint tells us not only the species to which it belongs, but also about the behavior of this animal at the time it went through a particular place, i.e. we can know if the animal was walking, running or jumping, if it was alone or accompanied, how fast it moved and in which direction he was going. Developing these skills takes time and great effort in the field, and if accomplished, the researcher becomes a real detective on the behavior and ecology of wildlife mammals. 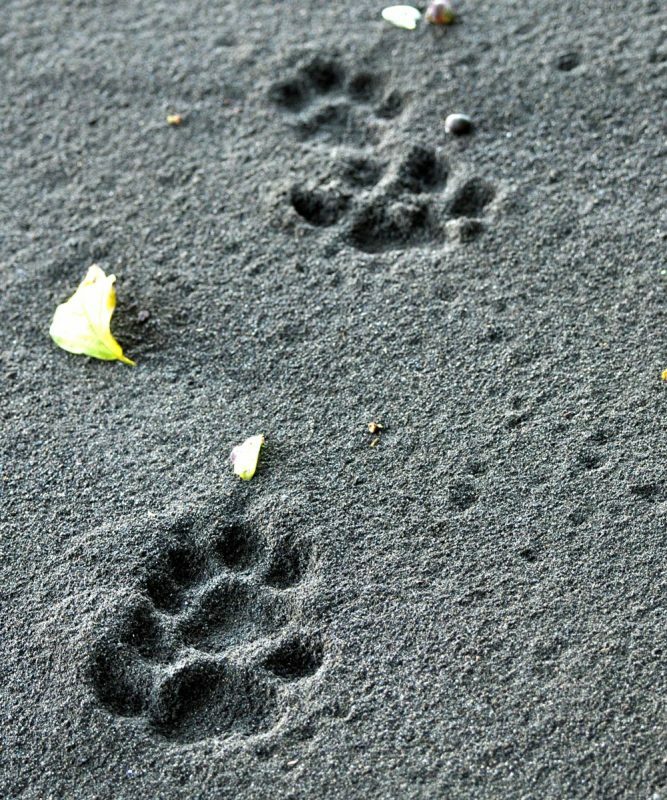 Thanks to the information provided by animal tracks, we have access to valuable knowledge of these species such as presence of these animals in a particular place, how they use their habitat, understanding their relationships with other species, how they behave, and the number of individuals in a herd or group if such is the case. 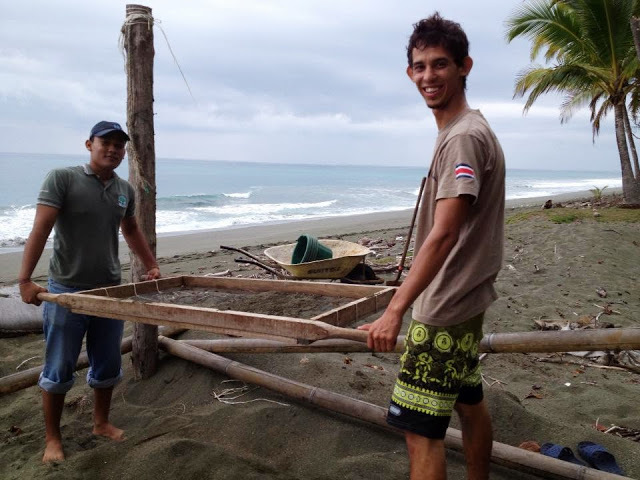 In addition, this research technique is extremely simple, inexpensive and highly reliable, so track sampling is the most successful technique for monitoring terrestrial mammal populations in the long term. Furthermore, it provides a branch of hints about the natural history of even the most cryptic mammals around without the need for them to be spotted. So, next time you are in a rainforest pay a little attention to the ground. Look at it, analyze it, investigate it and be amazed by it, because it can tell you lots of stories about the creatures of the forest. The Education and Outreach Program is working with students from 10 schools in workshops on major ecosystems of the Osa Peninsula and the great biodiversity that each ecosystem houses. 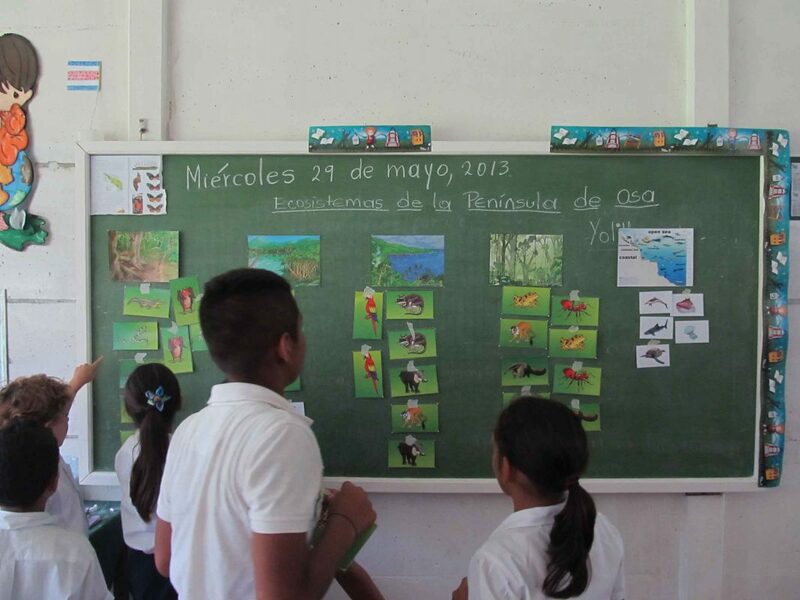 In the space of two lessons (90 minutes each), students learn about the characteristics and importance of the cloud forest, the flooded forest, the tropical rainforest, mangroves, and the marine ecosystem and how to identify each one by a set of representative species. 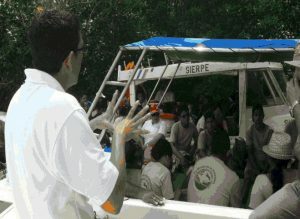 In the coming months we will continue with workshops on climate change and waste management. 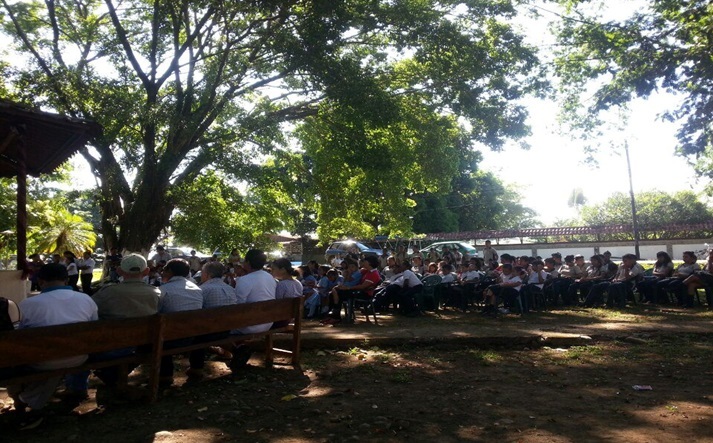 On World Environment Day (June 5), we celebrated with Piro and Rio Oro schools in Piro Biological Station. 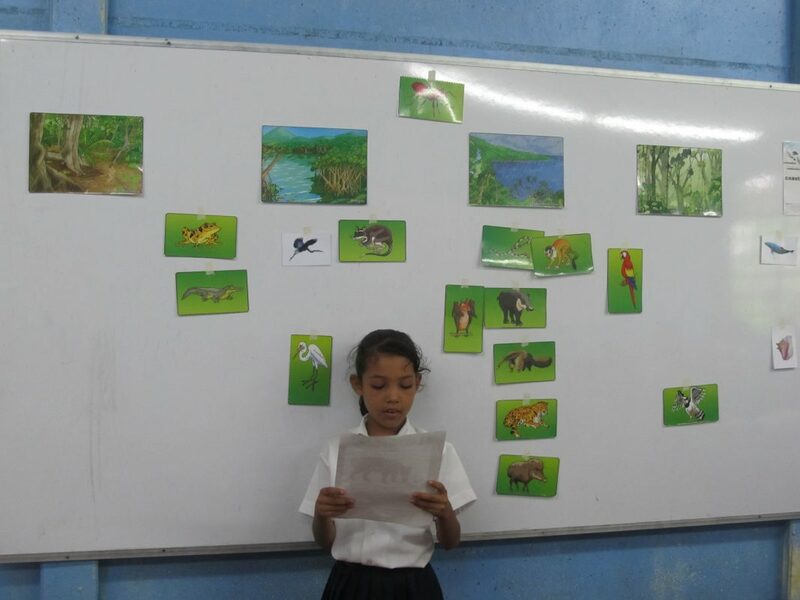 Students had fun playing with the treasure map of Corcovado with which groups won points with their questions about the biodiversity of Corcovado National Park and the environmental problems of the Osa Peninsula, and bingo with wildlife species. At the end of the activities, each student made a commitment to take action in their homes to help the planet, such as planting a tree, start separating waste, reuse plastic bags, and use cloth bags for shopping. The celebration of World Wetlands Day in the Wilderness Protected Térraba-Sierpe National Wetlands has been held for twenty-three years, and is one of the most continuous and stable events in the Osa Conservation Area. The event for 2013 began with activities in the central park of the Sierpa de Osa community, with a boat tour to follow. In the park, local high schools and the University of Costa Rica displayed the importance of conserving the wetlands and the challenges of global warming. Local board members of HNT-S revealed information about the wetlands such as location, classification, and biophysical data that is of great importance to tourists, students, residents and the general public. 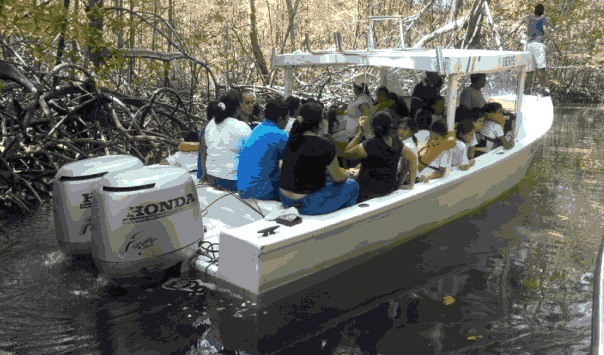 The boat tour began at the Sierpe Pier and ended at the mouth of the Sierpe River, where students from Rural Boca Sierpe High School explained the important of conserving the Térraba-Sierpe wetlands. During the tour, students, faculty, staff, and people from different institutions were able to have direct contact with the wetlands. They generated discussions and reflected on the pre-Columbian uses of the wetlands, its current management, and the implications of human actions on the health of the ecosystem and its inhabitants. 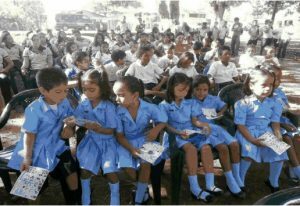 This event at its core is both educational and community-driven, and allows an integration of interests at the local, regional, and national levels. World Wetlands Day inspires an ownership of the landscape, the biophysical environment, and cultural values that reinforce the need, both individually and socially, to preserve a protected area that belongs to all people. 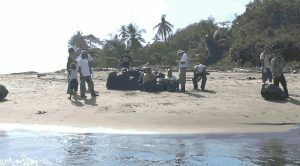 Waste collection on Isla Violin. There weren’t enough bags for the trash. 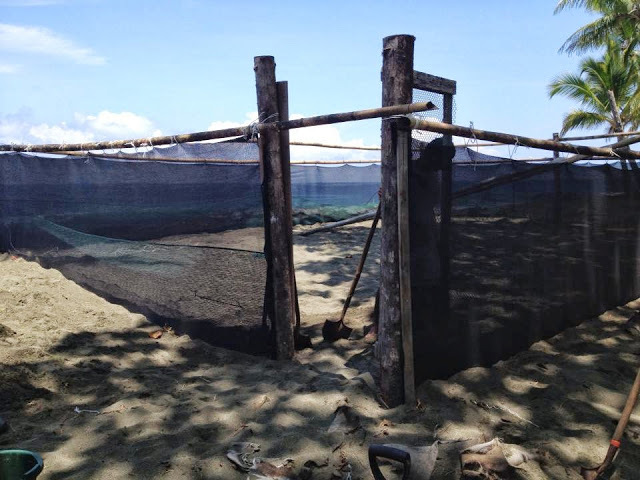 Turtle season is about to begin, and a new hatchery is under construction on Piro beach. 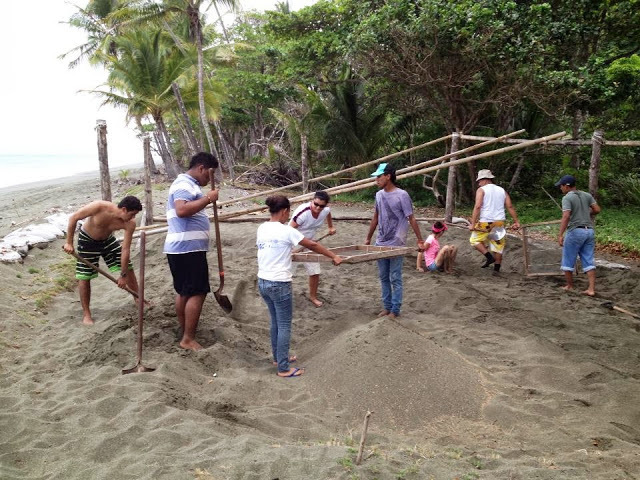 This will help protect at least 120 nests that are presently endangered by the behavior of rivers, high tide and predation. 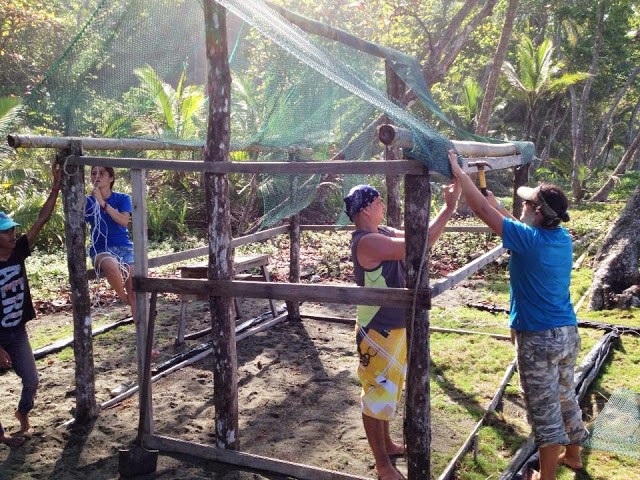 With the help of volunteers like Jabirú group, the new hatchery is almost complete and we hope to start relocating nests in July and watching the first hatchlings emerge in early September.